There's something about being in the mountains this time of year. I love the crispy, cool mornings and walking amongst the pine trees under blue skies filled with puffy white clouds. There is a part of me that wakes up from the summer slumber. My creative mind kicks into high gear. My MacBook Pro arrived this week. I am finally able to get back to working with my images from my big camera. Last night I uploaded eight weeks of photos from my camera cards and began sorting through them in Lightroom 4. I have almost forgot how to use LR; it's been that long. As I sorted and deleted I remember why I love the process of making photos. I also remembered why I prefer to upload, sort and edit after each photo session. I am overwhelmed with the files, images, memories and choices the each click presents. 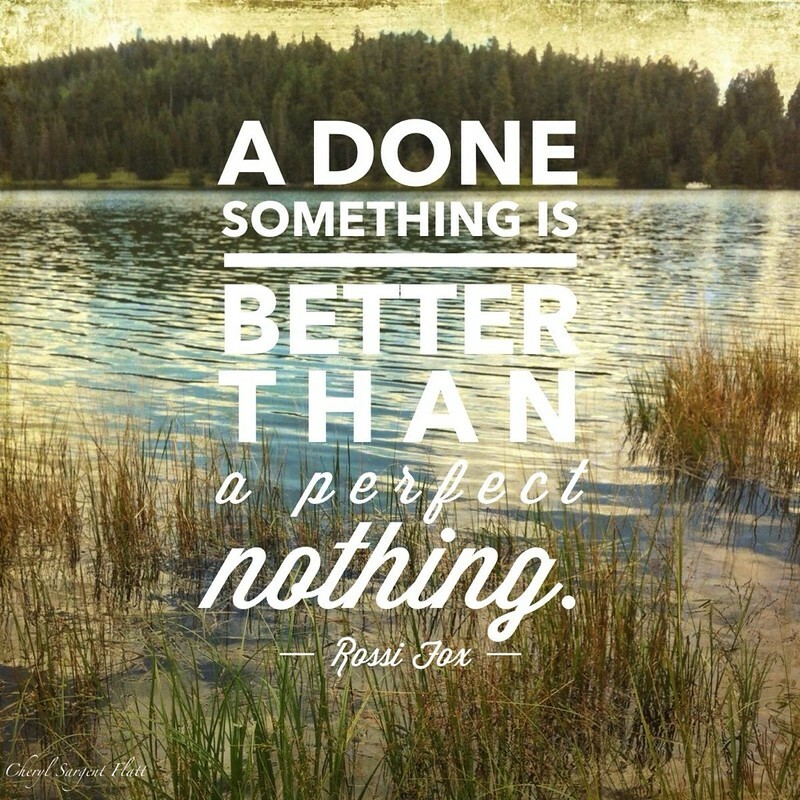 So, I kept reminding myself that a "done something is better than a perfect nothing." Flag to keep or delete...click and move on...Editing will come later. Just keep sorting. Click, click, click...307 photos were deleted. Progress made. Now the fun can begin. This quote applies to my writing, to my photography, to my housework, to my walking and yoga. Too often fear of it not being good enough can stop me from doing anything. I'm tired of that paralyzing fear. Tired of not getting things I love done. I'm getting it done...perfection will have to wait.